The Hippodrome has now been sold – and campaigners have been told that the new owners plan to convert part of it into a five star hotel and luxury apartment. The derelict theatre has been mothballed since spring 2015 after developers pulled out of plans to convert it into a cinema despite securing planning permission after a public outcry. It was then sold to Academy Music Group, and campaigners put together a plan to restore it and after raising £100,000 and spending it on viability studies, secured a potential investor in order to do so. But this week, it was sold to another developer, and campaigners say they understand that as well as a concert and theatre venue, it will also include a hotel and flats. In a post on the Save Our Hippodrome page, they said: “Three years on from the initial Save Our Hippodrome rally which we staged in New Road, there is finally some news regarding the future of the historic Brighton landmark venue – it has been sold to a new owner. “We understand that an official announcement will be made later this week, so out of respect to them we will wait until then before discussing in full, but plans apparently include a 5 star hotel, luxury apartments and a banqueting/concert/theatre venue. 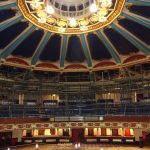 Earlier this week, the Theatre Trust wrote to Brighton and Hove City Council urging it to inform any potential new owners of the need to safeguard the Grade II* theatre’s future use. 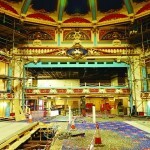 The theatre was last open in August 2006, when it was a Mecca Bingo Hall. It has now been on the Theatre Trust’s at risk register for several years. It should be left purely as a theatre. We do not need more bloody flats or hotels!! !